-Povidone Iodine Prep Pads -Ideal for antiseptic skin preparation, venipuncture, IV starts, rena..
Dynarex Povidone Iodine Scrub Solution 16oz. 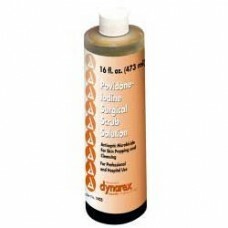 Dynarex Povidone Iodine Scrub Solution 16oz. 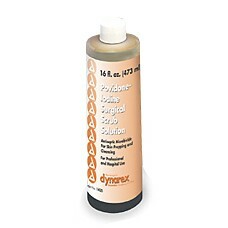 7.5% povidone iodine, U.S.P. 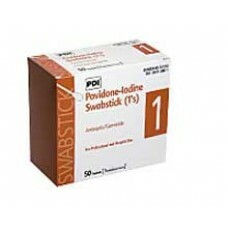 equivalent to .75% avai..
Each swabstick is saturated with a 10% povidone iodine solutionIdeal for venipuncture, IV starts, re..
Dynarex Povidone Iodine Swabsticks 1's Bx50 Each swabstick is saturated with a 10% povidone iodin..
Dynarex PVP Povidone Iodine Prep Solution 16oz Each 10% povidone iodine, U.S.P. 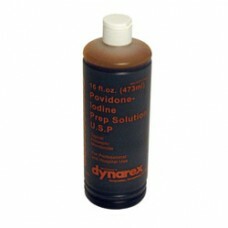 equivalent to 1% av..
Dynarex PVP Povidone Iodine Prep Solution 4oz Each 10% povidone iodine, U.S.P. 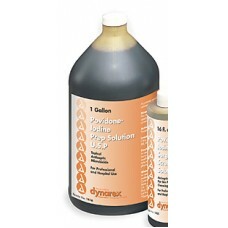 equivalent to 1% a..
Dynarex PVP Povidone Iodine Prep Solution Gallon Each 10% povidone iodine, U.S.P. 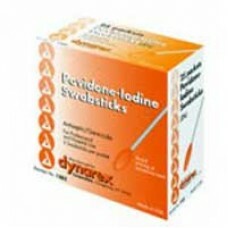 equivalent to 1% ..
Antiseptic Swabsticks saturated with a 10% Povidone-Iodine solution (equivalent to 1% available Io..